The Seagram VO and VO Gold story 2 Votes Up! Why is it called a “cocktail?” 5 Votes Up! 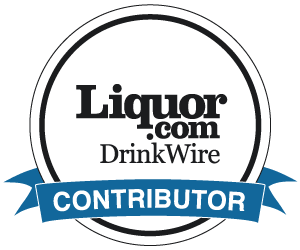 The Future of the Booze Business 2 Votes Up! A National Drink is Born 1 Vote Up! Alcohol vs. Cannabis Marketing 0 Votes Up! Seagram’s 7 Crown: Then and Now 0 Votes Up! Amazon, Malfy Gin, and Building a Brand 1 Vote Up! Black Fig Vodka: A Star is Born 25 Votes Up! Bulleit Bourbon: The Birth of a Brand 10 Votes Up! Move over, Tequila and Mezcal 14 Votes Up! Well Hung Vineyard 8 Votes Up! Liberating the Alcohol Distribution System 2 Votes Up! You Don’t Have to be Jewish… 9 Votes Up! Dad’s Hat Pennsylvania Rye Whiskey 32 Votes Up! Kim Brandi: The Rocky Road of an Innovator 20 Votes Up! Seagram: Down Memory Lane—Part 2 22 Votes Up! On the Road to Success 2 Votes Up! Seagram: Down Memory Lane—Part 1 2 Votes Up! How home barreling of spirits changes everything 24 Votes Up! Now On Tap… 2 Votes Up! Why don’t you write a book about the booze busines... 34 Votes Up! Behind the Stick: The Changing Bartender 1 Vote Up! Hella Company 5 Votes Up! Beyond Mezcal: Spirits from Mexico 8 Votes Up! F. Paul Pacult, The Whiskey Authority 7 Votes Up! Malfy Gin 4 Votes Up! How an Olive Launched a Brand 2 Votes Up! The Last Word: South Africa 3 Votes Up! Spirits of the world: Mastiha from Greece 167 Votes Up! The Bacardi Story: A Different View 3 Votes Up!